Reuniting with Kenneth Lonergan after 2000’s You Can Count on Me, composer Lesley Barber‘s score for Manchester by the Sea is one of the year’s most beautiful. When we recently spoke with her, we said the soundtrack is, “like the surrounding film, something of a contradiction: unmissable yet unintrusive, and enveloping as it disappears into the dramatic action.” We’ve now teamed with Milan Records to give away four CDs to our readers. All entries must be received by 11:59 PM EST on Sunday, November 27th. To enter, do the first two steps and then each additional one counts as another entry into the contest. 3. Comment in the box on Facebook with your favorite score/soundtrack of the year so far. We will select the winners at random. One entry per household. No purchase necessary. Winners must live inside the U.S. and shipping to a P.O. box is not permitted. From its triumphant premiere at the Sundance Film Festival through screenings in Telluride and Toronto, Manchester by the Sea has received raves from fans and critics alike. Casey Affleck delivers a stunning, Oscar-worthy performances as Lee Chandler, a brooding, short-tempered loner working as a handyman in Boston. Lee is taken away from his gloomy existence when his brother’s death compels him to return to his hometown and reluctantly take custody of his 16 year old nephew. Slowly, simply, and expertly the story unravels the source of Lee’s pain, and the reasons why his homecoming is so incredibly difficult. The beautiful score to this film reveals itself in the same simple yet affecting manner as the story itself. A 2016 AMPAS initiate, Composer Lesley Barber is well known for her work in film (Mansfield Park, Hysterical Blindness, A Price Above Rubies, When Night Is Falling, as well as Lonergan’s You Can Count on Me), theater, chamber and orchestral ensembles. In Manchester by the Sea, Ms. Barber employs expertly harmonized vocal performances and subtle, atmospheric orchestral work that provide a worthy accompaniment to the incredible performances by Affleck, Michelle Williams, Kyle Chandler and young discovery Lucas Hedges. Her original score is perfectly complemented by a selection of classical pieces curated by Kenneth Lonergan himself. 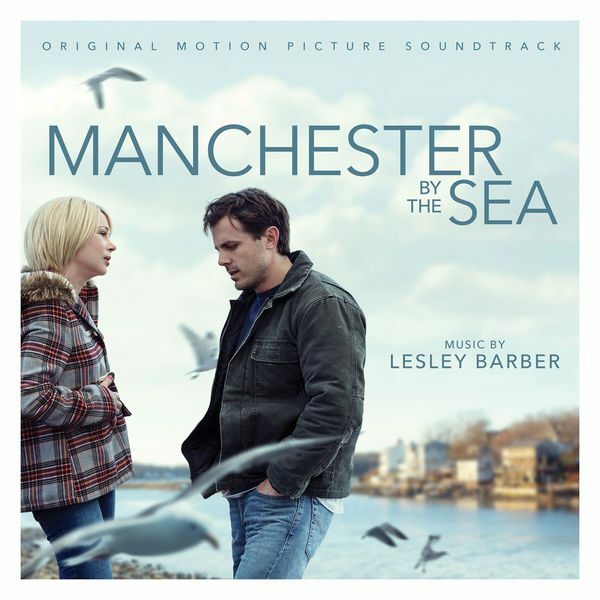 Manchester by the Sea is now in limited the release and the score is available here.